Are you looking for the perfect organic loose powder? If so, Physicians Formula Organic Loose Powder is your answer! After weeks of trying Physician's Formula's Organic Wear 100% Natural Origin Loose Powder, we've concluded that it by far is the best full coverage organic powder out there. Not only did we receive alot of compliments on how soft, dewy and fresh our appearance looked but there are many pros to using the product. It is mess-free unlike other loose powders. It comes in 6 shades and can be worn alone or over your usual cream foundation and concealer. The compact comes with a natural kabuki brush and mirror. The only con is there is no SPF protection. Since there is no protection from the harmful sunrays, remember to wear the foundation over a good facial moisturizer like, Alba Sea Moss Moisturizer SPF 15. 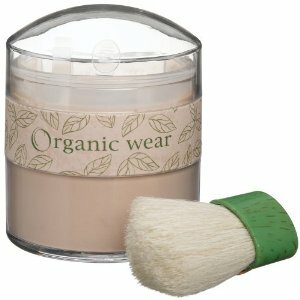 For a nice healthly glow, try Physicians Formula Organic Wear Natural Bronzer. This is the secret to glowing, healthy skin.